Thank you so much for visiting Calm Babies. There is no instruction manual when it comes to raising a baby which is why I believe in an individualised approach for each family. Children’s needs and behaviour are not ‘one size fits all’. I am a mother myself and understand the frustration mums go through. There is so much advice given to you as a new mum that it can be really overwhelming and finding what is best for your baby can be like looking for a needle in a haystack. This is why I take the time to understand your boundaries, your beliefs and customise a program and approach that you can confidently and consistently apply. I really believe that my program is so successful because I work with you for the weeks following by providing unlimited phone support and adapting the program based on your child’s needs and always within your comfort levels. Calm Babies was founded in 2009 by Carmel Morabito after recognising the need for parents requiring assistance with the difficult specialist issues of baby settling and lactation services and advice. Carmel has a Diploma of Community Services in Childcare and began her career caring for babies and children in day care centres in 1999. 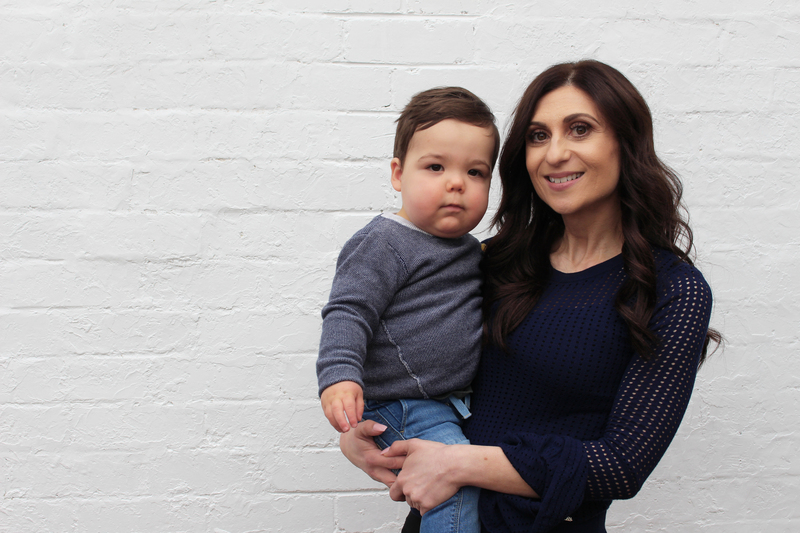 She has worked extensively as a mothercraft nurse in both special care nurseries and mother/baby units in three of Melbourne’s leading hospitals. This experience has given Carmel the knowledge in caring for premature and newborn babies, providing lactation advice to new mothers along with experience in guiding and assisting parents who are having a difficult time getting their babies into a healthy sleep routine. I am a qualified mother craft nurse with over 15 years of experience working in special care nursery and mother baby units. I believe my results speak for themselves as I am confident in what I teach. I know my programs work because they are tailored and individualised. There are two ways we can work together. Depending on your location, situation, requirements, and child’s age, I will recommend either a phone consultation or an in-house visit. The length of the visit will depend on the age of your child. How are you different to sleep schools? Traditional sleep schools offer set programs where you must leave your home. My approach is to support you in the privacy and comfort of your own home. I also provide unlimited follow ups for my home visits and the option to have follow ups added on for my phone consultations. What are the benefits of a feed, play, sleep routine? Babies grow and flourish when their needs are well met, they thrive when they know what to expect. We know that when parents follow a feed, play, sleep routine of daily care their babies cry and fuss less and are easier to care for when they are awake. Do you offer the same routine to all babies? I individualise all programs based on the family’s beliefs and comfort levels. With sleep programs, consistency is key, without the confidence and support from you the parent or guardian, the program cannot work. Therefore, I ensure that each program is tailored to you. Responsive settling is the most effective method for me to use. Since I individualise a program based on your family’s needs and comfort levels, I don’t use the ‘cry-it-out’ method. Do you offer a confidentiality guarantee? Absolutely, when working with me you can be rest assured that what we discuss is 100% confidential. Often you will be referred to me through a friend and you may not feel comfortable with anyone knowing what is going on in your world – I understand. I work with the utmost discretion, I even go as far as having no branding or logos on my vehicle so not even the neighbours will know you’re using my service. When it comes to sleep issues, I work with newborns all the way through to the age of 3 years old. Do you work with twins? Yes, please call me to discuss your needs. In 2011 Carmel Morabito featured on the popular television program ‘The Project’, as an expert mother craft nurse and infant sleep consultant.